How do I create a team calendar? How can I synchronize my Outlook automatically? Easy2Sync for Files / Outlook - What is the difference? Easy2Sync for Files / Outlook - Can I have an update? Easy2Sync for Files / Outlook - Do you offer discounts? Does the Freeware Edition have a time limit? Which features does the Freeware Edition *not* have? May the Freeware Edition be used by companies? May the Freeware Edition be published on websites and CDs? Can Easy2Sync for Outlook synchronize my Outlook? Can Easy2Sync for Outlook synchronize my contacts (and *only* these)? Can Easy2Sync for Outlook synchronize my database? Can Easy2Sync for Outlook synchronize my files? 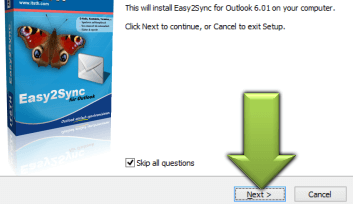 Can Easy2Sync for Outlook synchronize the system time with the internet? Can Easy2Sync for Outlook synchronize my Smartphone / cell phone? 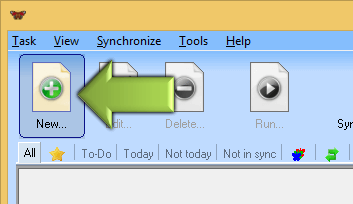 Can Easy2Sync for Outlook synchronize every x minutes? when my computer is shut down? Can Easy2Sync for Outlook use an USB connection to synchronize? Can Easy2Sync for Outlook synchronize my Outlook-Version(s)? Can Easy2Sync for Outlook synchronize my Outlook while it is OPEN? Can Easy2Sync for Outlook synchronize my huge mail file? Can Easy2Sync for Outlook synchronize my IMAP/OST/CST mail folder? Can Easy2Sync for Outlook synchronize my Exchange server? Do you need a special network connection? Do you need Easy2Sync for Outlook on both computers? Can I synchronize 3 (or more) computers? How do I synchronize without network? Can I synchronize over a VPN? 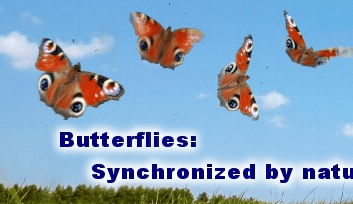 Can I synchronize over the internet? How can I turn off the splash screen? What do I do if calendar items are moved by 1 hour or cover 2 days? How can I fix 'The operating system is not presently configured to run this application'? Can I sync with Exchange accounts? I want to sync only my Exchange calendar / contacts. Is that possible? Can I sync accounts from two different Exchange servers? Can I sync an Exchange account with a PST file? Can I sync "Public folders"? Can I sync "Shared" Exchange folders? Create a new task and choose Team Calendar mode. Select one of your source calendars and the central team calendar folder. Repeat this for all other source calendars. Select Tools > Options. On the first page you can set in which cases a confirmation is needed. Deactivate all fields for which no confirmation is desired. You might say the programs are "sister products". Easy2Sync for Files synchronizes any kinds of files (but PST files only complete, which may have disadvantages). Easy2Sync for Outlook however synchronizes Outlook (e.g., PST files) without problems, but it won't work on normal files. If you want to synchronize both files and e-mails, you'll need both products. You can purchase them in a bundle and get a discount. Both products are separate product lines. An update to the next version within the product line is free for 1 year. The change (or additional usage) of the other product line is not. But we offer a substantial discount (see next question). No, you may use it forever. The Freeware Edition supports only inbox and sent items, no contacts, notes, etc., allows only one task and no automation. The Business Edition supports all this. Yes. Please send me a short information mail. Yes. Easy2Sync for Outlook synchronizes (in the Business Edition) e-mails, contacts, tasks, calendar items, journal items and notes. You can limit the synchronization to certain folders, e.g., only the contact folder. This can be done with the "Folder filter". You can see screenshots of all filters here. Of course, this will also work with other folders. There are wizards for the most important folders, all other folders can be configured either manually (button "Advanced" for both data storages) or with the wizard "Folders with unequal names". No. You can use the sister product Easy2Sync for Files to synchronize the files where the database is stored. But a synchronization on data row level is not possible. No. You should use the sister product Easy2Sync for Files to synchronize your files. Or get both products in a bundle with discount. No. Easy2Sync for Outlook synchronizes e-mails in networks. No. It works only with PCs. Warning: Never use the standard USB cables to connect PCs. They were not designed for this and may damage your hardware. Only use cables that are explicitly meant for this. Supporting these clients is currently not planned. Sorry. Combinations (e.g., Outlook XP on Windows 2000 and Outlook 97 on NT) can be synchronized, too! One exception: Starting Outlook 2003 a new file format (unicode) can be used. Since unicode files cannot be understood by older Outlook versions (2002 and older), you can synchronize Outlook 2003 with older Outlook versions only if you either convert the unicode PST files to non-unicode PST files (Microsoft describes here how to do this) or run Easy2Sync on the computer with the newer Outlook version (because its drivers support both file types). Yes, since version 6.00 without limitations. This requires that you delete the old tasks and recreate them. A bridge file is no longer needed, the computers are synchronized directly. We successfully tested Easy2Sync for Outlook with PST files containing up to 80000 e-mails and 4 GB in size. And we were far away from any limits. And we have reports from customers who successfully use our software with even bigger mail files. No, currently only PST files and Microsoft Exchange accounts can be synchronized. The progam can synchronize either an Exchange server account with a PST file or synchronize two Exchange server accounts. It can synchronize the account completely or in parts (like only the contacts), even if the parts have different names (e.g. "contacts" with "contactos"). Both public folders and user-specific folders can be synchronized. Limitations: Easy2Sync for Outlook can synchronize individual Exchange server accounts. But not entire Exchange servers (with thousands of accounts). Please see the Exchange FAQ for more information. No. Any network connection that is supported by Windows, works with Easy2Sync for Outlook, too. So, if you can see the other computer's files in an explorer window on your PC, this is already enough. Yes, you only to install it on all involved computers. On the main computer (which you can choose as you like), you will need to create 1 task. Example: If you want to sync desktop and notebook, then install Easy2Sync for Outlook on both and create a task on the desktop. Directly in one step it's not possible. Simply use several tasks (requires the Business Edition or several licenses). Synchronize computer A with computer B and after that computer B with computer C.
This answer also applies to Easy2Sync for Files. · How many licenses do I need? Without network it's uncomfortable. You'll need a mobile data storage (rewritable CD, memory stick, USB hard disk) which can hold the entire PST file. Synchronize it with computer 2 and after that with computer 2. A tip: Do this only if you cannot create a network due to technical reasons. Nowadays networks are so cheap and easy to configure that the workaround with the mobile data storage doesn't pay. A tip: Choose this way only if a network is not possible due to technical reasons. Networks are nowadays so cheap and easy to set up that using a storage medium doesn't pay off. Normally yes. Easy2Sync for Outlook just requires a (simulated) local network connection. Currently, Easy2Sync for Outlook cannot synchronize PST files over the internet. The only way for this if you configure a VPN yourself to connect the computers "directly". Note: This restriction does not apply to Exchange servers. You can synchronize any Exchange server that can be reached by your local Outlook (or via any mail profile that could be used in your local Outlook). 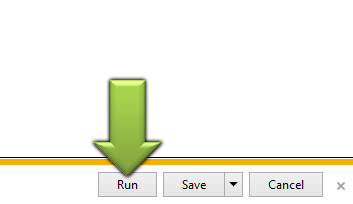 In Windows please edit the shortcut you're using to start Easy2Sync and add the parameter /NoSplash. Please make sure that you are using the same time, time zone, and daylight savings time setting on both machines. This will resolve the problem and Outlook will display the correct times. Yes. All accounts listed under "Start > Control panel > Mail > Profile" can be synchronized by Easy2Sync for Outlook. Yes. When creating the task, simply choose the desired folders. Yes. Simply make sure that you have a profile (Start > Control panel > Mail > Profile) for each server and then choose these profiles in Easy2Sync for a sync. Yes, you can sync "Public folders" with other folders (public or private). For example you can sync a public calendar folder with a user's private calendar folder.